I cheated, and I’m not sorry so sorry. I just didn’t have the gumption to make this weeks BB (Barefoot Bloggers) recipe. I don’t know if it was because the recipe was really involved, or if the ingredients didn’t quite appeal to me, I don’t know. I asked Chefboy to make the filling for me. I did put it in the bowls. I also had a baggie of my favorite pie dough in the freezer. So cheated and used that too. To ease my guilt make up for the fact that I really didn’t do anything but photograph this recipe, roll out the dough, put the tops on and bake it, I tried to pretty up the tops. 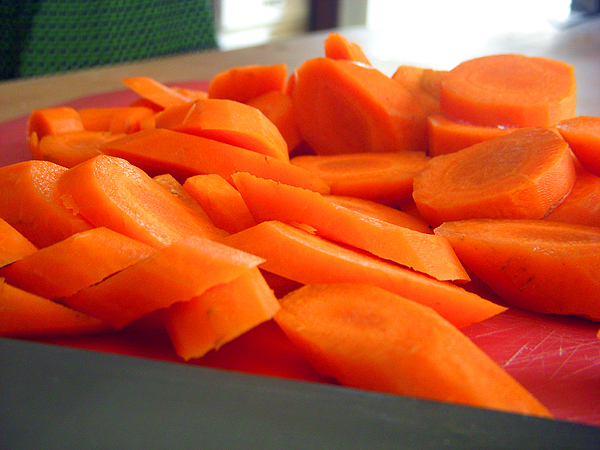 Here is the recipe that Deb of Kahakai Kitchen picked for us. 1 fennel bulb, top and core removed, thinly sliced crosswise~~Pothole doesn’t know what fennel bulbs are, so Chefboy I ground up fennel seed. 1 tablespoon Pernod~~had to do a Google search on this one. It is a licorice flavored liqueur. Gag-a-maggot! Divide the filling equally among 4 ovenproof bowls(ok, this filling makes tons. I don’t know what size her oven proof bowls were, but mine were a good sized cereal bowl, and I needed 7 or 8 of them). Divide the dough into quarters and roll each piece into an 8-inch circle. Brush the outside edges of each bowl with the egg wash, then place the dough on top. 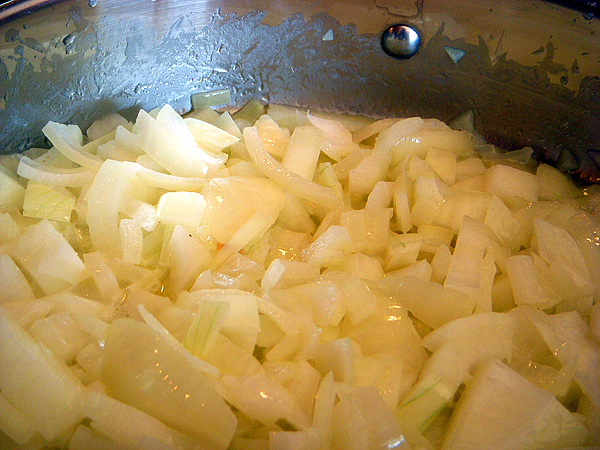 Trim the circle to 1/2-inch larger than the top of the bowl. Crimp the dough to fold over the sides, pressing it to make it stick. Brush the dough with egg wash and make 3 slits in the top. Sprinkle with sea salt and cracked pepper. Place on a baking sheet and bake for 1 hour, or until the top is golden brown and the filling is bubbling hot. This was a wonderful tasting Vegetable Chicken Pot Pie. I loved it. Chefboy did a wonderful job on it. 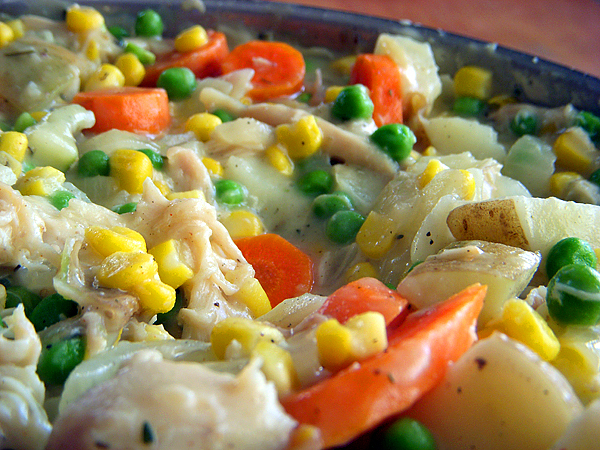 You’re OK because Pernod does NOT belong in a vegetable…uh, er… chicken pot pie. I especially love the maple leaf cutout. I recently bought some Wilton leaf cookie cutters that were only $2.50!! I’m itching to use them. Gosh, I haven’t made chicken pot pie in the longest time and I’ve been stuck in the “what’s for dinner” conundrum so thanks for the idea. I’m green with envy that you won the Nancy Drew mystery. I know, I know, I can always go to Amazon and get one but it’s so much more exciting to win one. Have a great day in Pothole. Suzanne~~I was so excited to win too. I am using the leftover filling to eat as a ‘chicken stew’. My family would have preferred yours…. Girl – I cheated a bit too, but I’m not telling anyone but you! I used puff pastry for the piecrust. It was good, but I won’t do that again. I just won’t!!!! But it was such a delicious pie and I am sure yours was too. I cheated a lot. Yours looks delicious-I love the little peek-a-boo crust…nice! your photography is luscious. I’m sure the pot pies were too. LOL – let me tell you what, my hubs sure wished that I cheated a little bit and added some chicken! Licorice flavor liqueur? Yeah, um, I can think of a few other ways I’d rather spend my $50 bucks. Yours sure look pretty!! Ha ha! That is hilarious. No worries, we will forgive you. The cute pie crust decoration more than makes up for your cheating. Beautiful! We cheated with the same little leafy cookie cutters, but yours look much better in your gorgeous photos! I like your changes. Hi, yes 3 deer and an elk…. but he went with 3 other people. Venison recipes or tips are highly appreciated. You pics are always lovely..and I say way to go Chefboy! 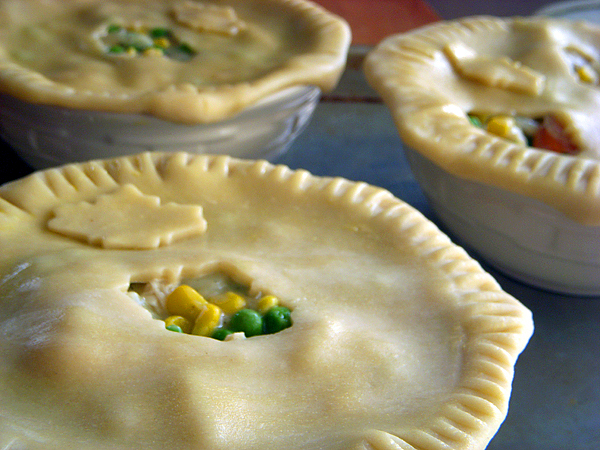 I LOVE pot pies – my “secret food” when nobody is around is a good ol’ Banquet CPP from the freezer. So full of salt and preservatives and sooo not on my “healthy eating plan” but I totally don’t care. I’m gonna have to try to make my own. I wonder if my cereal bowls are oven proof? How do I find out? They’re just some white porcelain things I got at Linens-n-Things a few years ago. I love your shortcuts! This was pretty time and pot intensive and I don’t think I’d go all out on this recipe when I make it again. I’ll keep your ideas in mind when I do – thanks! Kiki~~if it is porcelain, then it is most likely oven safe, however, it can be made in ramekins, a pie plate, a 9×13, or any other casserole dish. Totally hilarious. I made a few changes too. It was good, but I am not gonna make it again. You know I felt the same way about this choice. Something about it just doesn’t appeal to me and I’m not excited to make it. Which is probably why I’m late. I may also cheat because the whole homemade pastry thing sounds too daunting for a weeknight supper. This would be so good if it weren’t 100 degrees outside! I made this yesterday — yummy!!!! Your photos look wonderful as usual!!! 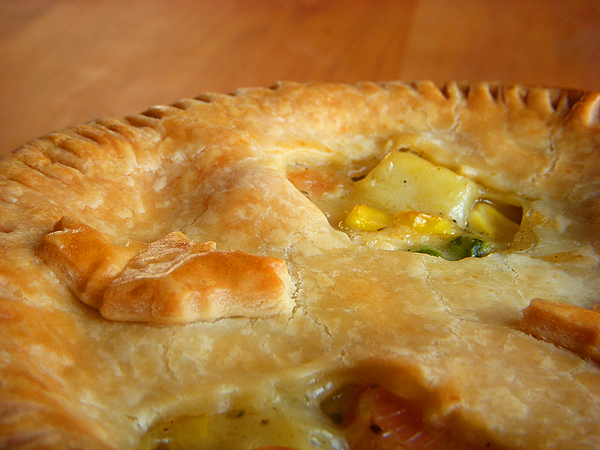 I grew up eating frozen chicken pot pies – best thing about them was the chicken – and haven’t eaten one in years. Now if you skipped the peas I would love to try yours – peas & I …. lets just say we don’t get along and leave it at that. I’m proud of you. You owned up to what you had done and didn’t try to say it was all your work. He did good and it was good practice for him. Is the Nikon home yet? Glad you cheated because your version looks awesome! Elaine~~no my beloved Nikon isn’t home yet. When it does arrive, y’all will be the first to know. I’m laughing over here in Jersey. I LOVE this post. Move over…I’m heading out to Pothole…chicken pot pie is my absolute favorite. Hi Tanya! 😀 I have wanted to make a pot pie for like a gazillion years. The thing is, we’ve no shortning. Is there such thing as a yummy pie crust without the use of shortning? Cuz boy does that look yummmmy! Robin~~use butter. That’s what I did. This recipe is open to so many substititions. Chciken is a excellent choice!!!! Lovely pictures. They look delicious. The tops of your pies are lovely–and way to be a cheater! They do look lovely with the little cut outs. Sometimes you just need to take it easy and get help where you can get it. We have all had those weeks! If that’s cheating, count me in. They look marvelous! You are an amazing cook and a wonderful photographer. Tell Nikon you want your money back and use the money to fly to Paris, girl!!! You rock the point and shoot and you inspire me with your delicious recipes! Beautiful pot pies! I love the cut out with the filling peeking through. You did not miss much with the liquid licorice Pernod. It was mellow in the dish, but definitely an acquired taste! Haha! I love the cheating! Lucky you – wish I had someone to help me cheat! Your pics always look wonderful.